Save On Your Life Insurance! What if I’m still alive and my policy expires? We’ve written this page to help you learn about life insurance so you can feel confident about making informed decisions. An insurance broker or a financial advisor can help you with your needs and goals. They will walk you through your present financial scenario – asking you to think about your savings and other assets and liabilities that you may have – including other types of insurance. These pieces of your financial picture coupled with your life stage and goals, should fit together and be specifically customized to you. Life insurance gives you peace of mind – you’ll know that you have left your family, loved-ones and dependents with a secure future. Leave a legacy of financial security instead of shaky income and leftover debt. What’s The Best Life Insurance Option For You? Not sure which life insurance option is the best fit for you? Speak with your insurance broker. By determining your short and long-term financial goals, your flexibility and your risk tolerance, you can find the right balance of insurance products that match your financial profile. 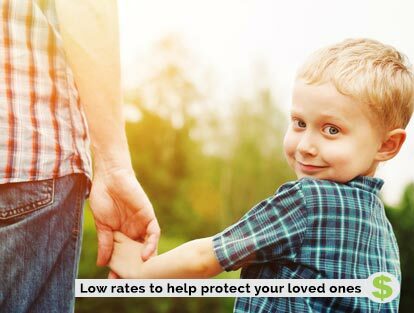 Term life insurance offers high, short-term protection at the lowest cost for a set period of time. Term insurance is a very affordable option and suited to young families on a tight budget or to homebuyers holding a large mortgage. Permanent Whole Life Insurance protects you throughout your lifetime and has the added benefit of a tax-advantaged savings element. Permanent Life Insurance provides a death benefit and builds cash surrender value. This coverage can serve as one component of your long-term savings strategy. Universal Life Insurance also offers permanent life insurance with a tax-advantaged investment component. You can use the growing cash value of your universal life policy to increase your death benefit or to help fund the cost of the policy. Identifying your life situation will help you and your broker understand your short and long-term needs and the type of life insurance that best suited to you. You may see yourself in one or more of these profiles. Don’t worry, you can blend life insurance products. Do you see yourself in this profile? As a business owner or entrepreneur, you have distinct insurance needs that depend on the stage of business development your company or partnership is in. Your insurance situation becomes even more unique when your personal goals and life situation are taken into consideration. ThinkInsure's life insurance experts can help come up with a plan and coverage options based on your needs and stage in life. We are a full service life insurance broker and have access to products from the top insurance companies. We'll provide unbiased advice and make sure you get the best coverage for your needs and budget. Call one of our life insurance experts to learn more about life insurance or find out what type of coverage may be best for your needs - 1-855-550-5515.